University of Veterinary and Animal Sciences (UVAS) has taken a vigorous step to establish a business incubation center (BIC) on July 2011 by the collaboration of Higher Education Commission (HEC) at its Lahore campus. BIC is the fifth model business incubator of Pakistan which has been launched under the academia and aims to provide business inclusive environment with extensive services and facilities to young entrepreneurs which lead them to establish successful business. 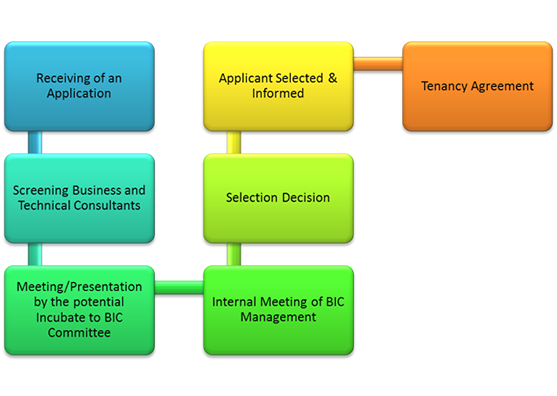 The BIC is a multipurpose entity that intends to grow new businesses ventures. It is a dynamic system that tailored young growing companies to impart training, consultancy services, marketing and financial assistance, technology expertise and well educated work force; hence a wide-ranging business development facilities and services under one roof. Furthermore it is a platform to leverage UVAS knowledge base and faculty for creating the industry academia linkages that will act as a catalyst. It provides opportunities to strengthen ties between the educational institution and the local business community. Also give practical exposure to students and make healthy utilization of university research to solve out the related issues faced by the young entrepreneurs. It is the big source to train entrepreneurs, create jobs, enhance a community’s entrepreneurial climate, retaining businesses, and enhance growth in a local industry and ultimately it’s after effects will expand overall local economies”. To provide business conducive environment for the development of successful business, networking and competitive work force development. Your dream is our commitment …we carry you to your final goal. Productivity enhancement of young entrepreneurs and start up companies. Provide networking opportunities for successful business growth. Mentoring and training of startup companies/entrepreneurs for the new venture development. Give real-world exposure to students as internship and job opportunities. Promote the commercial research culture through the strong venture of university-industry Tag. If you want your business to achieve its goals faster, then BIC.UVAS is your ultimate destination to achieve desired goals. Relationships. We are committed to developing long-term relationships with entrepreneurs, analysts, the media, and venture capitalists and building confidence and trust such that our contacts will work with us on numerous opportunities. Expertise. We bring the highest level of expertise to our work. Our staff and affiliated consultants are comprised of recognized experts in various industries, technologies and functional areas. Technology. We are committed to the idea that technology is the key to taking the lead in our fast-changing economic environment and we aggressively leverage technology internally and within our incubate companies. Partnership. We promote a collaborative partnership with our incubate companies and view ourselves as an integral extension of their business. Integrity. We insist on honesty and fairness as the guides against which all of our actions must be measured, and we dedicate ourselves to walking the high ground in all our actions. Diversity. We embrace a focus on ability and character as the driving forces for accomplishment in career advancement. Business development services in areas of management, finance and marketing. Fully access to shared office facilities at nominal charges.